Pole Krzysztof Ratajski already plays for many years WDF/BDO tournaments. His first success came 2007 when he reached the final of the Czech Open. 2008 he won the Denmark Open und qualified for the BDO World Championship but lost his first match. 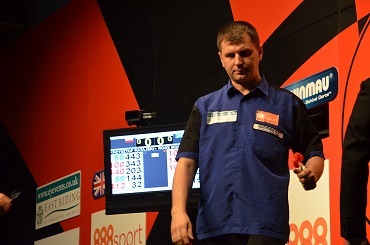 In 2015 he stood under the last 16 of the Winmau World Masters, in 2016 he took part in the BDO World Darts Trophy. After 2010 and 2013 Ratajski 2016 for the third time will take part in the PDC World Cup. Ratajski is a quite successful sort dart player as well.